Central Carolina Community College (CCCC) has locations in Pittsboro, Siler City and soon, Chapel Hill. The school is one of 58 campuses that make up the North Carolina Community College System, which is widely regarded for its comprehensive and advanced vocational and technical programs.  CCCC provides high-quality, accessible and affordable education to Chatham County’s growing workforce. Chatham County Schools has an award-winning Career and Technical Education program and an innovative dual enrollment program. Central Carolina Works, or CCWorks, allows students to earn college credit from courses that also count towards their high school diploma. The free program is administered jointly by the school district and Central Carolina Community College. Also in partnership with Central Carolina Community College, Chatham County Schools has developed the Chatham County School of Science and Engineering, an early college based in Siler City, where students can earn an Associate’s Degree without tuition costs. Both Chatham County Schools and Central Carolina Community College are continuously developing new programs, career and technical education opportunities, and working with local universities and businesses to ensure students are poised for success in the workforce. North Carolina has 53 colleges and universities, among which are three Tier 1 research universities all within 30 minutes of Chatham County — North Carolina State University, Duke University and the University of North Carolina at Chapel Hill. North Carolina State University is the largest public university in the state, with more than 34,000 students enrolled. The school is known for its engineering program, veterinary school and Centennial Campus, a research park operated by the university. Duke University, only eight miles from Chapel Hill, enrolls more than 14,500 students and is affiliated with the highly ranked Duke University Health System. The school is known for its engineering, medical, business and law programs. The University of North Carolina at Chapel Hill enrolls almost 30,000 students and conducts nearly one billion dollars of sponsored research from all sources annually. UNC Health Care’s main medical campus is adjacent to the university’s campus.